While TV manufacturers continue in their quest to make televisions ever thinner, Samsung has just revealed something very different from the paper-slim sets we’re used to seeing: the font-inspired Serif TV. 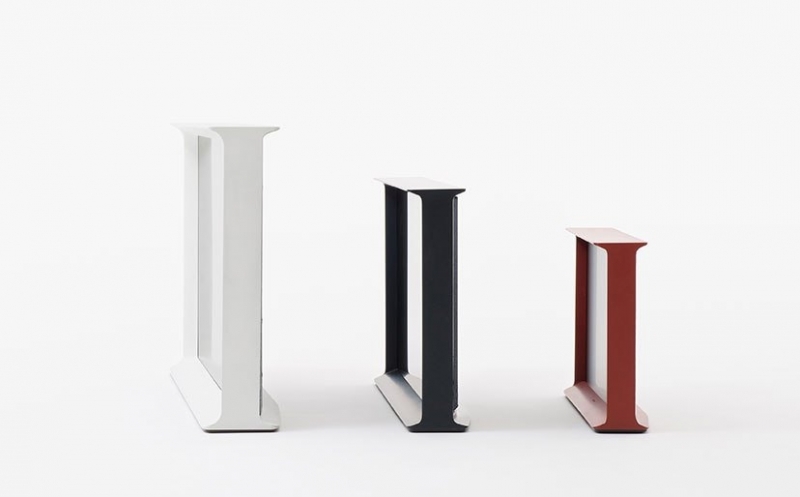 In order to come up with the Serif TV’s unique look, Samsung collaborated with French design team Ronan and Erwan Bouroullec. This marked the first time the brothers, who are best known for their furniture design, have worked on an electronic device. “Like typographers designing a letter, we studied both the object and its interaction with the space around it,” said the duo. Launched at the London Design Festival yesterday, the Serif TV takes its name from the fact that it resembles the capital letter ‘I’ in a serif font when viewed from the side. The Serif is designed to look like a piece of furniture and even comes supplied with its own legs, giving it a retro, 1950’s CRT television feel. Samsung says the Serif TV has been in development for the last three years. The rear of the unit has a “woven fabric panel” to conceal its ports and wires while adding to the overall retro design. The Bouroullec brothers also redesigned Samsung’s existing TV user interface and remote control to make them more intuitive and less complex. "Serif TV’s shapes and colours break away from the usual theme of masculine, cutting-edge technology and extra-large dimensions. Serif TV is more subtle; it doesn’t exude power. It is made to fit in the world we live in,” Samsung said on the product’s website. There will be three different version of the Serif TV: a 40-inch UHD, a 32-inch full HD, and a 24-inch standard HD. Buyers will get to choose from a white, red or blue set once the TVs become available in the UK, France, Denmark and Sweden on November 22. While Samsung has not said if the Serif TV will eventually be released outside of Europe, the company did revealed that the 24-inch set will cost £499 ($763). No prices have been announced for the larger models. As Samsung and LG abandon the technology, is this the end for 3D TVs? You need to be a member to leave a comment. Join thousands of tech enthusiasts and participate. Sign up for free, it takes 30 seconds. Already have an account? Login now. © 2019 TechSpot, Inc. All Rights Reserved.